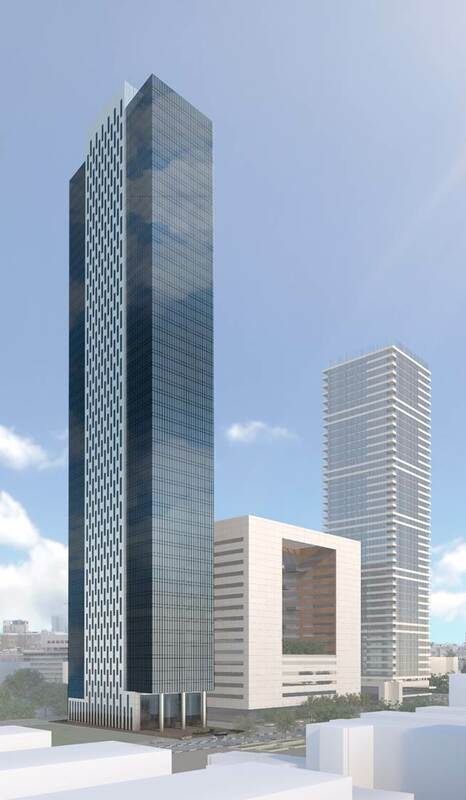 ILDC is promoting a project to build a complex on a land it owns in Bnei Brak, which will include offices, commercial areas, clinics and a geriatric center on land it owns. Building A - an area of approximately 57,000 square meters, designated for offices (about 40 floors), of which 12,500 square meters are owned by ILDC, constituting 21% of the total office space, and a commercial area of about 1,800 sqm . The remaining office space was sold to a purchasing group. Construction of the building has begun and is expected to be completed in 2019. As of the end of 2018 the company sold 30% of the area owned by it. Building B - an area of 50,000 square meters designated for the Geriatric Center, which is expected to include about 1,000 beds in the Geriatric Center and approximately 14,000 square meters for clinics and a commercial area of more than 2,000 sqm. The company´s share in the building is 100%. Construction of the basement and the parking lot of Building B is completed. Building C - an area of approximately 60,000 square meters designated for offices, and the Company´s share in the building is 48,500 square meters (tha remaining area is owned by the Municipality Of Bnei Brak). Construction of the basement and the parking lot of Building C has begun. The construction of the building is expected to begin during 2019. The total commercial space owned by the ILDC in the three towers is approximately 4,000 square meters and 730 parking spaces.